A new eco-salon opening in the summer of 2018 in Petersfield. 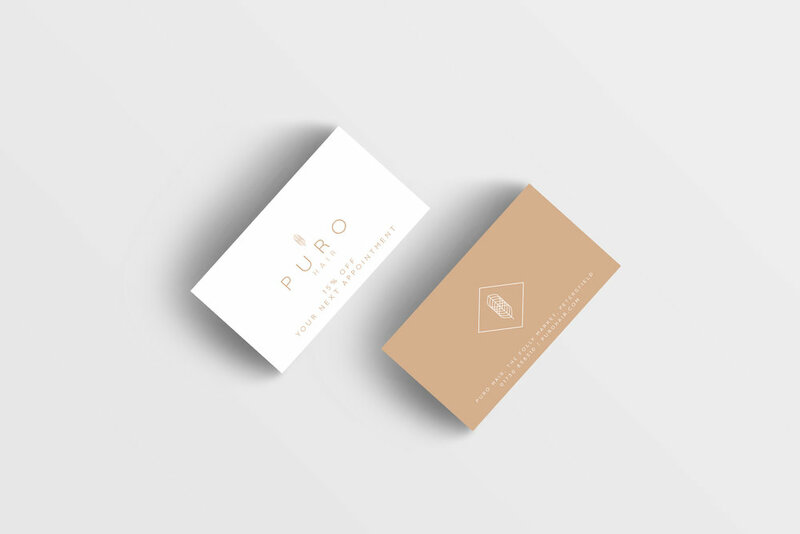 Puro wanted branding that reflected the ethical nature of their company. With their commitment to using vegan friendly, animal cruelty free and recyclable products I designed a brand that oozes class and sophistication but also mirrored this ethical feel.